Everyone understands the essential role of environment we live in, in our health and workability. It’s very important to keep our houses clean and hygienic, because the dust and dirt can influence our health badly. And it’s clear that cleaning is a very important part of household chores, because it makes the place we live in tidy and healthy. Also, comfort is a question of cleanliness, so no one wants to live in cluttered and dusty house. But unfortunately, when you live in suburbs or in a small town, it’s hard to get satisfactory service regarding cleaning. 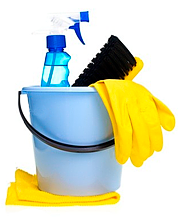 Large companies usually work in big cities, and ordering housecleaning services from them is quite expensive. You will pay for their transport almost as much money as for their proper work. Today, citizens of Washington area can breathe freely. The residential services that Crystal Cleanings Company offers them are quite convenient, professional and affordable! Having a residential department in any town in Washington area, we’re able to satisfy your needs in residential house cleaning very fast, comfortable for you and on the high level of quality. Crystal Cleanings is a company that works in the cleaning field for many years, and that has helped us develop convenient and contemporary programs of house cleaning, which make your house not just look clean, but also be hygienic, fresh and comfortable. Residential house cleaning service that we offer is targeted for small town citizen needs, and you will be amazed how good they are. We always aim at 100% satisfaction for our customers, but often our service exceeds their expectations. Our professional teams work very hard to make your house clean and tidy, washing every surface and practicing the most contemporary and effective methods of cleaning.